Detox Organics Review | Ingredients, Side Effects, & Does It Work?! 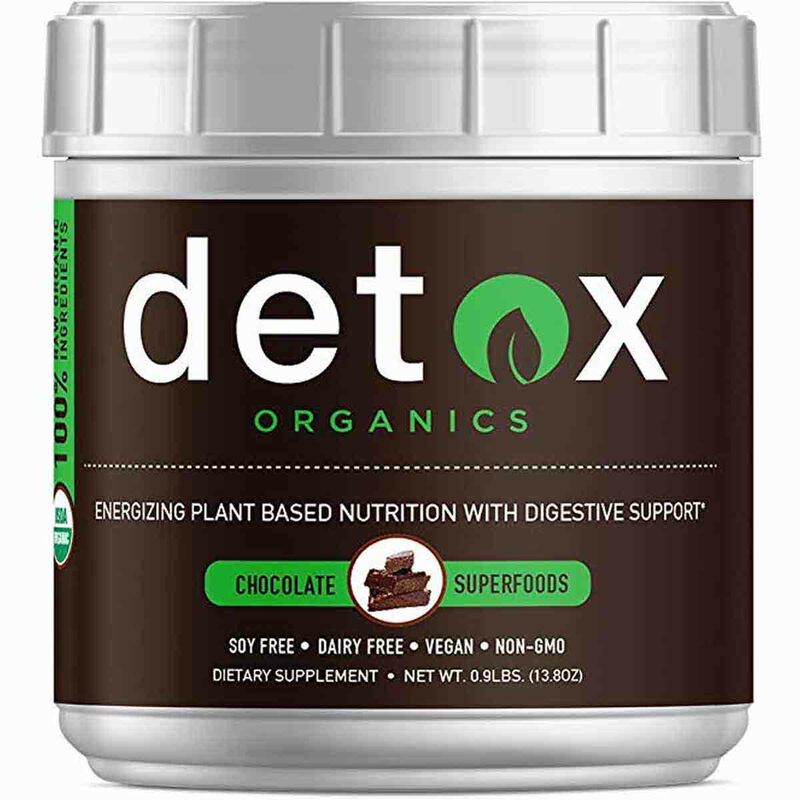 Detox Organics is a chocolate flavoured health supplement in powdered form, that you just add to milk or water in order to make a drink that the advertising claims gives you the equivalent health benefits of 10lbs of superfoods and veg. However, the ingredients profile is incomplete because the source of the chocolate is not disclosed, and there also does appear to be a high proportion of filler ingredients. 1 comment Page updated Feb 1, 2019. First published Jun 6, 2018. Detox Organics is a powdered drink supplement composed of organic superfoods, and the idea is that it will increase energy levels, stop bloating, and detoxify your body. This chocolate flavoured health drink looks pretty tasty and is described as a nutritional powerhouse, but is it as good for health as it is cracked up to be? Let’s find out more about Detox Organics. Detox Organics is both the name of the product and of the company behind it. Based in Scottsdale Arizona, this company and the chocolate flavoured supplement looks to have come onto the market in 2015. Detox Organics is an MLM (multi-level marketing) company and also offers an affiliate “share a sale” program. Detox Organics is a chocolate flavoured health supplement in powdered form, that you just add to milk or water in order to make a drink that the advertising claims gives you the equivalent health benefits of 10lbs of superfoods and veg. Although this sounds good, it is a bit misleading. The ingredients profile is incomplete because the source of the chocolate is not disclosed, and there does appear to be a high proportion of filler ingredients too. Beware. The main objective of this MLM company is to sign you up to the auto-ship, yet without any terms and conditions, there is no information about how you cancel this agreement. What are the side effects of Detox Organics? Some customers have mentioned a burning sensation after taking. Other side effects may include bloating, abdominal pains, diarrhoea, and gas. How much does Detox Organics cost? Detox Organics is very expensive. Buy from the official Detox Organics website and it costs $69.00 for 1 tub of 30 servings. You can save money by choosing the Subscribe and Save option because the price is reduced to $51.00. This auto-ship option is handled by another company called ReCharge and although you are told you can cancel any time, there is no further information about how to go about it. We advise you don’t sign up to auto ship because in general, these types of agreements can be very difficult to get out of. You can also buy Detox Organics in various size packaging including a travel pack of 15 sachets for $54.00, bulk buys of 6 tubs for $279.00 and more. There are also some massively overpriced diet plans on sale such as Custom Metabolic Reset Detox diet for a whopping $149.00. All purchases come with a free eBook. 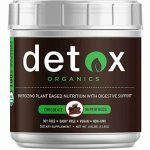 You can also buy 1 tub of Detox Organics (30 servings) via Amazon for $69.00. Detox Organics, also called Chocolate Greens Superfood Powder, is a powdered drink supplement that you just add to water or milk to create a health drink. According to the advertising, it will help detoxify your body i.e. make your bowels more regular, as well as improve your energy levels and remove bloating. The blend contains only organic ingredients and it contains the usual healthy components such as organic wheat grass powder, alfalfa, and barley. There is an alkalising blend which contains greens such as kale, broccoli, coconut water, and kelp. The Detoxifying blend includes carrot powder turmeric, aloe vera powder, and cayenne pepper. Find out more by clicking on the ingredients tab. With such an extensive ingredients blend, it is hard to imagine what this flavour combination would actually taste like! However, Detox Organics also contains chocolate presumably to mask the flavour of this bizarre combination. So it looks like a winner, especially if you love chocolate and are not so keen on vegetables. Detox Organics is expensive. You are encouraged to sign up to the “subscribe and save” option which means that the company will send you fresh supplies each month, and bill your credit card or bank automatically. Subscribe and Save does offer a reasonable discount but very worryingly, there are no terms and conditions on the product website and trust us, you will find that this financial agreement is harder to cancel than it is to join. Detox Organics is operating an MLM (multi-level marketing) scheme, which means that you can sign up as an “ambassador” and start selling this drink yourself. According to the information for ambassadors, the key is to get people to sign up to Subscribe and Save. As the information puts it, “This means every single month they are on auto-ship you will be compensated too”. With this information, it is easy to see that escaping from this auto-ship agreement may be even harder than anticipated. However, if you like the idea of running your own home business you may find this of interest. Take a look at our guide to multi level marketing to find out more about the pitfalls and the benefits of this business model. Unusually, Detox Organics also sells via a network of Affiliate marketing called Share a Sale. This means that if you advertise this supplement, you get $5.00 for every new customer who buys. What does Detox Organics claim to do? Each scoop of our amazing tasting chocolate greens plus superfood powder contains a carefully formulated blend of over 10 pounds of vegetables, fruits, herbs, and plants including organic wheatgrass and coconut water. The ingredients are combined in three different blends each with a specific function. Detoxifying & Cleansing: It detoxifies and cleanses providing daily support for the healthy elimination of harmful toxins and supports overall wellness and vitality. Alkalizing & Energy Support: A unique formula that helps your body maintain a natural pH balance. Digestive Support: Combines the power of organic turmeric root + organic ginger root to radically reduce inflammation & support digestive health. There is no proof or evidence that this formula will work as described. It might do something! But it is not the key to health that the advertising implies, and there is just no evidence that this drink really will work in the way as described and prevents fat gain; improve energy or any of the other claims. That said, powdered supplements like this are becoming increasingly popular, because taking the equivalent of 10lbs of vegetables and natural healthy ingredients in just one chocolate flavoured scoop sounds like a great life hack. However, we question this figure. Although the serving size is 13.02g, there is actually only 7.8g of active ingredients per serving, leaving nearly half each serving composed of what exactly? In general, green powders may help top up on nutrients but they are no match for a normal healthy diet that includes a variety of fresh produce. Dried raw powders lack the fibre and water present in fresh produce, and are not as easily absorbed by the body and can cause digestive problems. Processing can reduce nutrient quality too. Creating smoothies from your own fresh fruit and vegetables is the healthier option, as is consuming healthy balanced meals. You know what you are eating and there are no filler ingredients as here. Serving size is equal to 1 x scoop (13.02g). The ingredients profile is incomplete because this supplement obviously contains a lot of filler ingredients, as the organic blends only add up to 7.8g in total. In addition, this supplement is chocolate flavoured, but there are no details regarding the source of the chocolate or the quantity. Alkalising Blend (2.5g): Organic spinach leaf powder, organic spirulina powder, organic collards (kale) leaf powder, organic broccoli powder, organic coconut water complex, organic kelp powder. Many people believe that an alkaline diet is good for health and weight loss and as alkaline foods are mainly plant based, unlike meat which is acid based, it is easy to see why. In truth, our PH levels throughout the body vary but expert advice is that PH Levels should be balanced and slightly more alkaline than acidic. Health advice is to achieve this by avoiding processed foods, and eating plenty of fresh fruit and vegetables. PH levels vary throughout the day, so this supplement will not help you maintain the correct balance long term if you then go on and eat unhealthily. Detoxifying Blend (1.7g): Organic carrot root powder, organic beetroot powder, organic dandelion powder, organic ginger root powder, organic lemon balm leaf powder, organic fennel seed powder, organic turmeric root powder, organic pineapple fruit powder, organic acai berry powder, organic aloe vera powder, organic cayenne pepper spice pods powder, organic Goji berry powder. With the exception of dandelion, which is known to cause increased urination, it is hard to see why this blend is described as detoxifying when it just looks like a blend of ordinary foodstuffs combined with superfoods such as Goji and Acai. These are considered superfoods because they are so rich in antioxidants. Some customers have mentioned a burning sensation in the throat while drinking, which could be down to the cayenne pepper content. Caution: Not suitable for individuals under 18. Avoid if pregnant or breast feeding. Speak to a health practitioner if you have an underlying medical concern or are taking prescription medication. One lady wrote on the Detox Organics Facebook page after trying to submit a negative review to the Detox Organics website. I purchased it and hate it. I am sorry but tried it 5 days in a row and could not. It tastes TERRIBLE. And I can’t even find where to put a review myself so I feel all those reviews posted have been selected to be posted only because they were good. It is certainly true that there is not one negative comment about this supplement on the product website, so it seems that any less than positive comments are filtered out as she says. Love this stuff. Been using it for several weeks now and I can feel the difference in my body. Feel more energized and I am also losing weight (Bonus!) Will order again when I run out. I’m disappointed. I made sure to read the reviews and comments because I am not familiar with these types of products and everyone was raving about the chocolatey taste and how smooth it was and how well it mixed with other products, well it’s none of those things. I’ve only had it 4 days and I’ve tried 2 types of yogurt, non-dairy milk, and other nutritional shakes and lastly water and it is chalky, thick and tastes like grass and plastic…..
On the front of this container it states that this product is gluten free. I was about to open and try for the first time and luckily I looked on the back to the ingredients and below that it says that it contains wheat. For someone with celiacs like me taking this product would not have been good. Super disappointed since I was very excited to try this product out. the wheat is from the wheat grass and the alfalfa … and it’s less than 20 parts per billion which makes it gluten free by FDA standards. My fiancé has a gluten intolerance and she consumes it twice per day. It’s also organic and raw and of the highest quality. I hope you reconsider your rating. This product is changing hundreds of thousands of lives, and these reviews hurt the brand. This is a typical brainwashed MLM response. There does not appear to be a money-back guarantee offered on this supplement. You can buy Detox Organics via the official website. It is on sale via Amazon. You can also buy it from a Detox Organics Ambassador. You can find one of these via social media such as Facebook or Instagram. Our initial impression of Detox Organics was fairly positive. Yes this supplement is expensive, but these types of green powders can be pricy and we felt that at least this contains an organic blend of superfoods. However, on closer inspection, this good impression started falling apart. The ingredients profile does not add up, the chocolate content is never explained and does not show up on the ingredients list, and the fact that it is sold via MLM is of concern. Looking at the information aimed at the Ambassadors, it seems to us that the prime focus of this company is to get you to sign up to auto ship and take this supplement forever, so they can earn while you continue to pay. Healthwise, we also have concerns. A powdered supplement does not replace a healthy balanced diet and if you prefer to drink your vegetables, $69.00 will go a long way to buying a blender and creating your own smoothies. A much better option for health, as doing this contains no hidden or filler ingredients as here. Finally, the flavour. A lot of customers have complained about this and although we all love chocolate, is it really necessary to have chocolate with your fruit and veggies? We think this supplement looks like an overpriced novelty, masquerading as a health supplement, so we do not recommend Detox Organics to the Watchdog readers. How does Detox Organics compare to Phentaslim? I really do appreciate this review was consider ordering but I have found an inconsistency in your review . You state that it has 30 servings per jar and is instructed to take twice a day which means it’s only going to last 15 days but according to the rap that I just spoke with each jar contains 60 servings and the required consumption is two times a day which lasts 30 days . The description of the product at the ordering section also says the same thing 60 servings per jar taken twice a day meaning one jar should last 30 days .